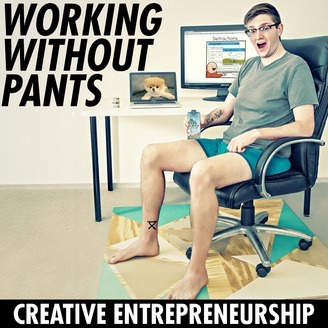 On the Working Without Pants podcast I bring you the inspiring stories of agency owners and consultants. I dive deep to uncover the secrets of their success. We talk about how they got started, what led to their success, and how they maintained a life / work balance along the way. I often also talk about business development strategies for these agencies and what is working for them. Many of your listeners include individuals who run software development agencies, digital marketing agencies, design firms, consulting companies, video production agencies, freelancers, consultants and many more. Topics we cover are b2b sales, winning new clients, lead generation, sales process, growth tactics, million dollar consulting, outreach, outbound sales, thought leadership, positioning and much more. 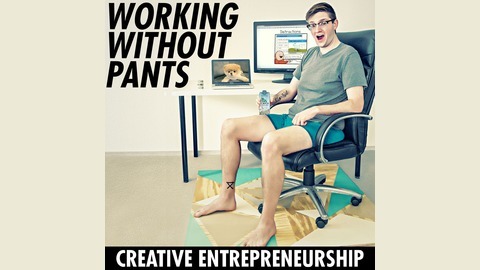 And as always, I keep the show fun and record episodes without pants! On this week's episode I sit down with Meryl Johnston of Bean Ninjas, a productized service focused on bookkeeping i.e. tracking day-to-day transactions in Xero. Meryl came from a background in accounting where she worked on a lot of custom projects that took a lot of time to scope and scale. From this experience, she was able to look back on all the flaws and backtrack to create processes solving those problems. There are some great tidbits on systemized scaling in this episode. Meryl and I agree, it's all about going to market and then figuring out how to deliver. Generating leads and making sales isn't so much the problem - it's working out how to deliver the service and having the right teams members and processes in place to deliver well. Tune in to hear about the evolution Bean Ninja, from the early stages of figuring out what types of customers to market to, through to delivering great experiences for people they enjoy working with.